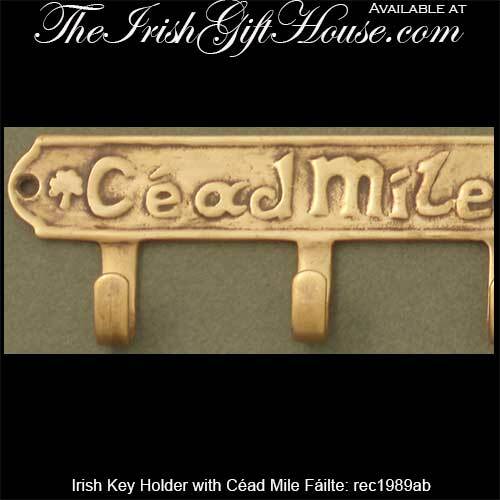 The brass Irish key ring holder is enhanced with the Céad Mile Fáilte welcome along with shamrocks. 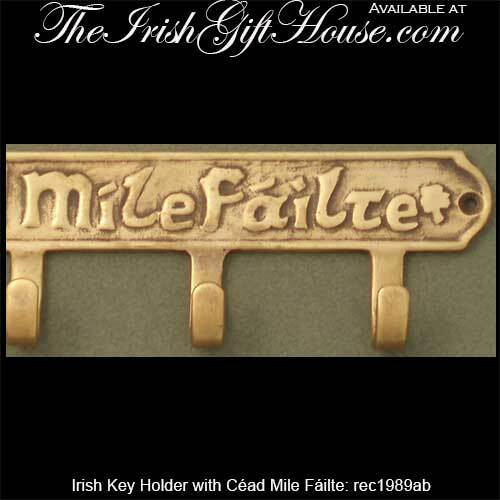 The Irish key holder features shamrocks along with the classic Irish greeting of Céad Mile Fáilte. 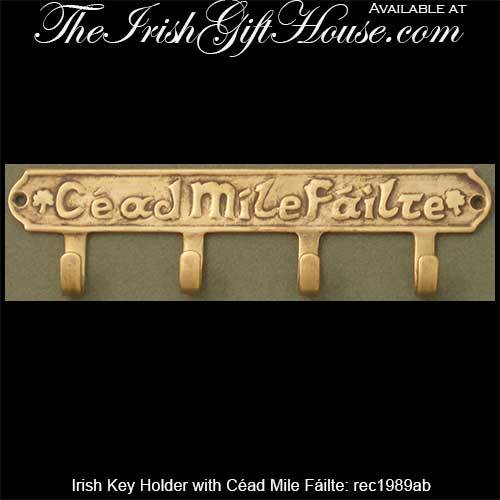 The Céad Mile Fáilte keychain rack is solid brass with an antiqued finish and it has four hooks. The Irish welcome plaque measures 7 1/2” wide x 2” tall and is gift boxed with a shamrock history card that is compliments of The Irish Gift House. This wall mounted Irish key rack includes the required hardware and it is made in the USA.